Moderator edit: how to show images. 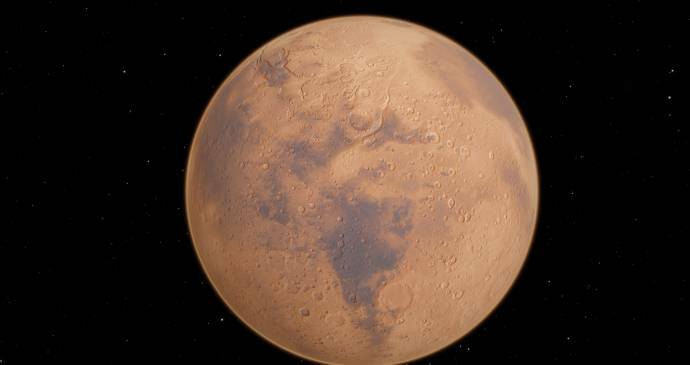 Mars looks ok, but Earth does not load textures for some reason. In which folder did you extract the archive? 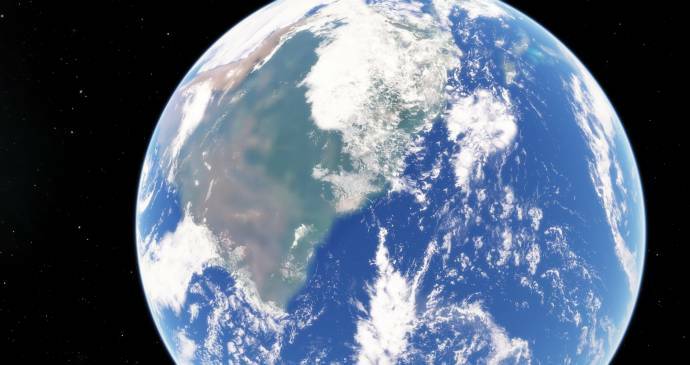 Earth bump (folders neg_x, neg_y, etc) should go to 'data/textures/planets/earth/bump' and the Earth surface texture should go to 'data/textures/planets/earth/surface'. Also, send me your 'se.log' file after you've flown near to Earth. 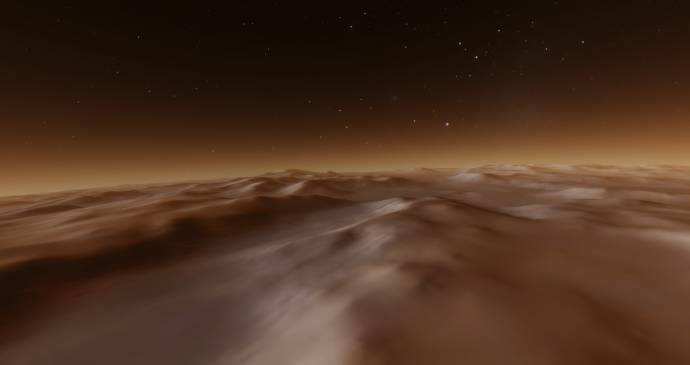 Don't expect the level of detail to be as procedural planets - Mars and other real planet textures have details only up to 300 meters per pixel. I am very sure that I put the files in the correct location, the first time I just copied the files over to the folders with the original files still in the folders but the textures still didnt load so then I deleted the original files and put just the new earth and mars folders in the specified locations. I am also wondering, is there any way to increase the total detail of the procedural planets? One of the videos on youtube caught my attention and I realized mine didn't look like that. Edit: Oh and one other thing. Are the gas giants suppose to have flat bump maps? Whenever I go into a gas giant its always just flat. Edit 2: Also, are galaxies suppose to look like this or are they suppose to have more detail? Rectalsoup, can you make a screenshots showing the contents of data/textures/planets/earth folder and its subfolders, up to nex_x for example? They should contain the files called 0_0_0.png, 1_0_0.png, and so, up to 6_63_63.png. Also, attach an data\catalogs\planets\SolarSys.sc file. Did you try to approach the Earth closer? 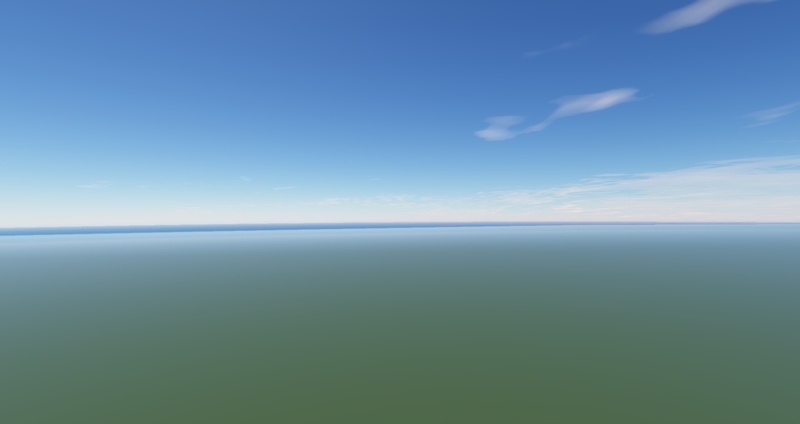 I am also wondering, is there any way to increase the total detail of the procedural planets? They already have maximum supported level of detail. Increasing of it requires significant change in code, simple editing of config just makes artifacts. The limit is reached, and it is related to floating point number precsion. BTW that video shows normal level of detail. Does yours have worse? Which LOD did you use and did you disable the Fast landscape loading (in Ctrl-F4 menu)? Gas giants have no surface, just 3 cloud layers and thick atmosphere. They're not developed for landing. Yes, the galaxies look as they should. Rectalsoup, can you make a screenshots showing the contents of data/textures/planets/earth folder and its subfolders, uo to nex_x for example? They should contain the files called 0_0_0.png, 1_0_0.png, and so, up to 6_63_63.png. Also, attach an data\catalogs\planets\SolarSys.sc file. Did you try approach the Earth closer? Okay, here are the screenshots you asked for. I have approached earth from many directions and have went into the atmosphere many times and it's the same. I looked at it again and I do have a little worse but its but by a great deal. I use 0 LOD and I have Fast Landscape Loading turned off. What LOD do you think my game would be able to run at with my computer specs (i7 2600 3.4GHz, 12gb ddr3, ati 5850 1gb)? Also, is it good to have Compressed Textures turned on or off and how does it affect the game? Are there any plans of implementing it so that gas giants have actually land? Thats something that would be pretty cool. Edit: Also, what is the option "Difraction Spikes" used for? Mine is set to normal. What would super do? You have downloaded one archive, but forgot about the second! Bump and surface are distributed in two archives each (because zip supports up to 2 Gb size only). What LOD do you think my game would be able to run at with my computer specs (i7 2600 3.4GHz, 12gb ddr3, ati 5850 1gb)? Up to LOD 0, using LOD -2 you will have faster textures generation, but lower level of detail. Also, is it good to have Compressed Textures turned on or off and how does it affect the game? It affects only the Solar system planets - some economy of video memory. Gas giants have no surface in reality They're just big balls of hydrogen and helium gas, which smoothly becomes liquid and solid as you dive deeper. Diffraction spikes is a six ray corona, visible around the sun. "Super" mode performs accurate per-pixel calculation of corona when sun partially occluded by something; mountains for example. It works only if the sun image is big enough, otherwise it works as "Normal" mode - occlusion computed only for the sun's center. "Super" mode is not complete yet, as the corona may blink as the sun moves across the screen. Gas giants do have solid cores though don't they? Anyway you will not see anything there. The pressure near the core is some millions of atmospheres, density is greater than rock - light will be absorbed or scattered out at few millimeters. And words "solid" or "liquid" is not suitable here - the interior of a gas giant is made of metalic hydrogen, something similar to cold plasma.